When a street drug turns junkies into an army of giant, mutant flesh-eaters, no hope is left - but one man remains. Hunter's got nothing left but a beat-up Camero, a trunk full of guns and booze, and a vendetta. 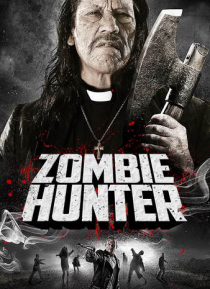 He crashes into a small group of survivors, led by an ax-wielding priest named Jesus (Danny Trejo). They're searching for the promised land - but does it even exist? They better pray for a… miracle, because the zombies are hot on their heels. And the psychotic clown with a chainsaw? You don't even wanna know.